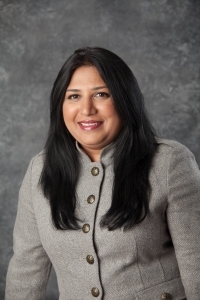 For the second consecutive year, Loretto Hospital’s Chief Executive Officer and Chief Medical Officer Dr. Sonia Mehta is once again included among the 2014 list of top 100 leaders by Becker’s Hospital Review, a monthly publication offering up-to-date business and legal news and analysis relating to hospitals and health systems. “This is truly an honor to once again be recognized and included by Becker among such a prolific group of health care executives. I strongly believe that the strength of a team is each individual member. And, the strength of each member is the team. I received this honor, not because of what I have done, but because of the strong group of leaders and managers at Loretto Hospital who have supported me and the process of doing what is necessary to deliver quality health care to our patients,” Dr. Mehta said. Dr. Mehta received her medical degree from NHL Municipal Medical College of Ahmedabad, India, where she graduated with honors. Soon after, she completed her medical residency in Internal Medicine at West Suburban Hospital in Oak Park, as well as a Hematology/Oncology Fellowship at Saint Francis Hospital in Evanston. In addition, she earned an MBA from Northwestern University’s Kellogg School of Management.